and manufactured by San Marino. 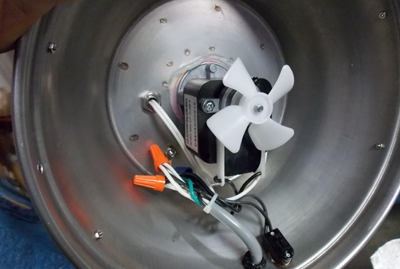 This air cooled pump motor located in the base away from the beverage while others use an oil bath pump that can contaminate the beverage and uses the beverage to cool the motor. together. 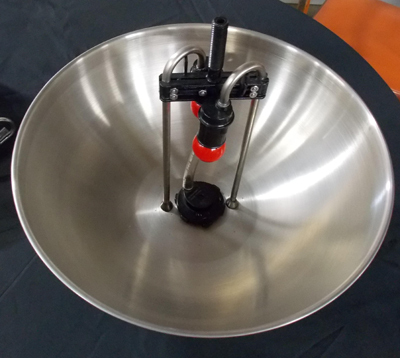 All stainless steel bowl and base. threads don't strip or cross thread. to prevent over pumping beverage. Easy twist on-off pump housing for cleaning. No little nuts or screws to mess with. Large inlets to accept and pump pulp. the base, away from the beverage. sockets with pole O-ring sealed at bowl end with a machined stainless steel flange. San Marino products are made entirely in the U.S.A.